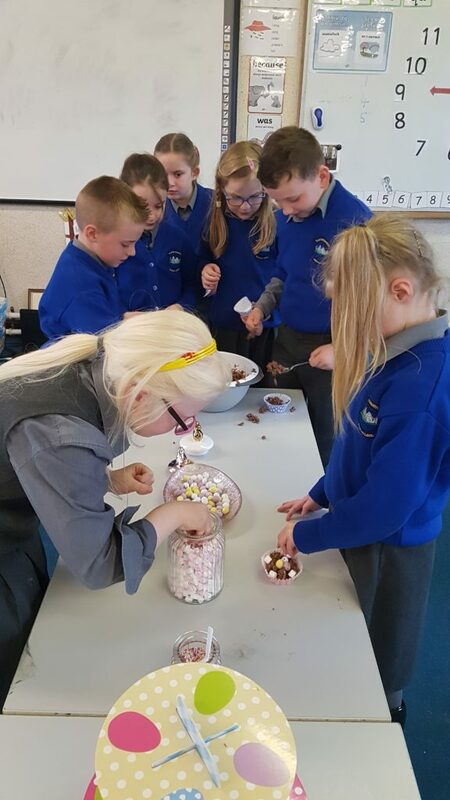 1st and 2nd Class have been learning all about chocolate. 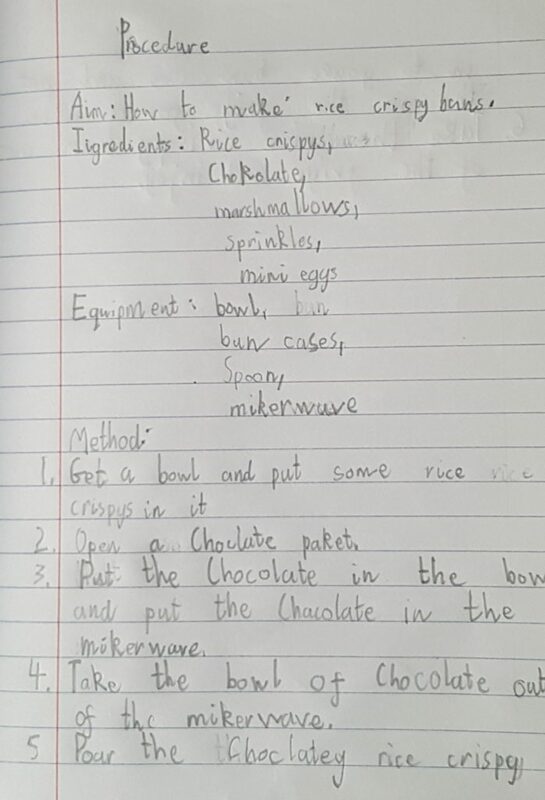 They have predicted and explored where it comes from and how it is made. 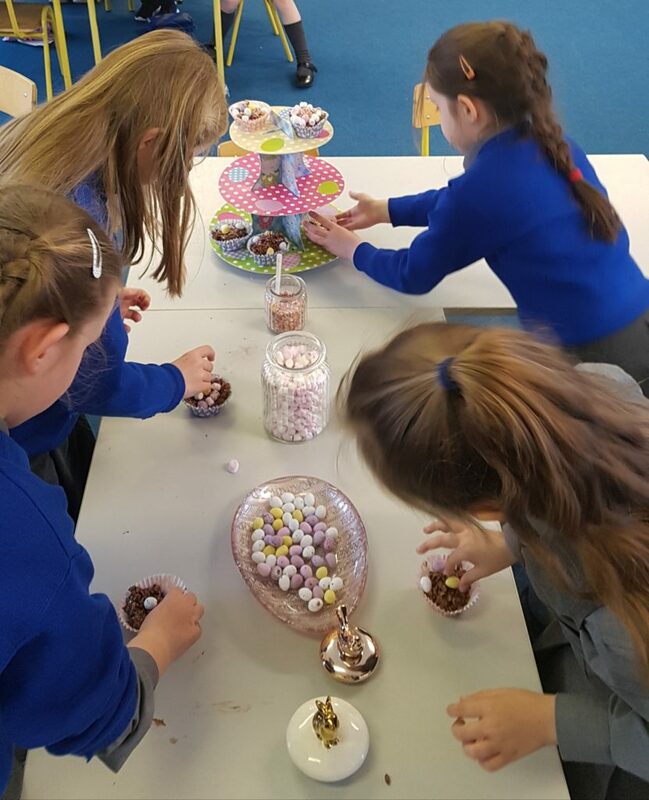 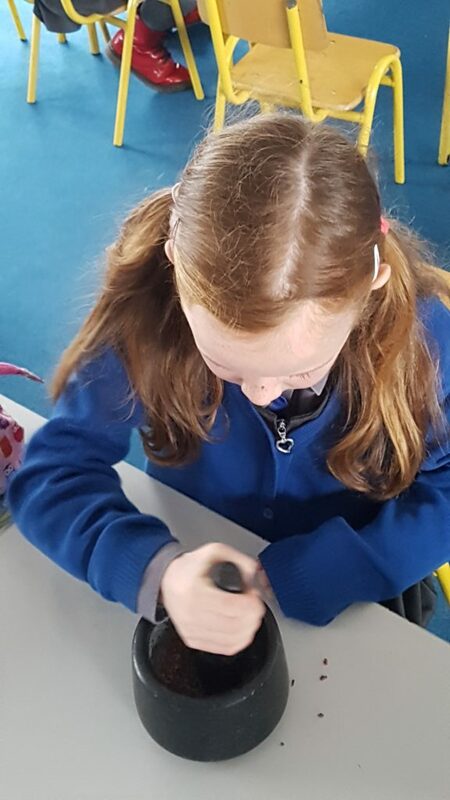 The children used their writing skills to write about a cacao beans journey from a cacao tree to a factory in Ireland. 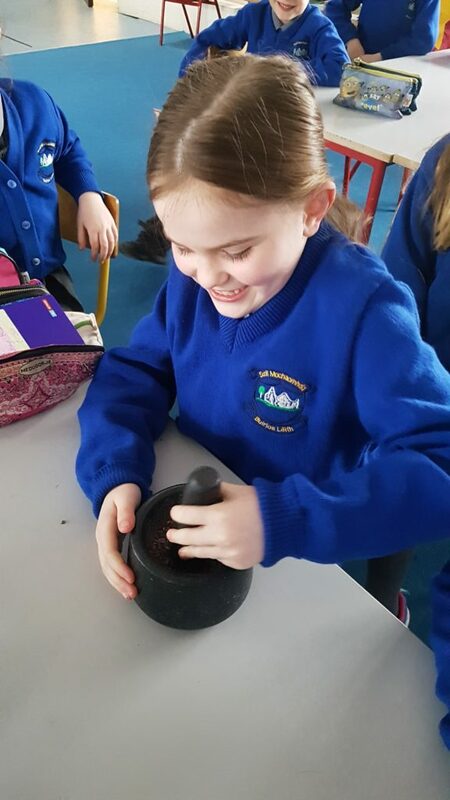 They also helped ground nibs from a cacao bean. 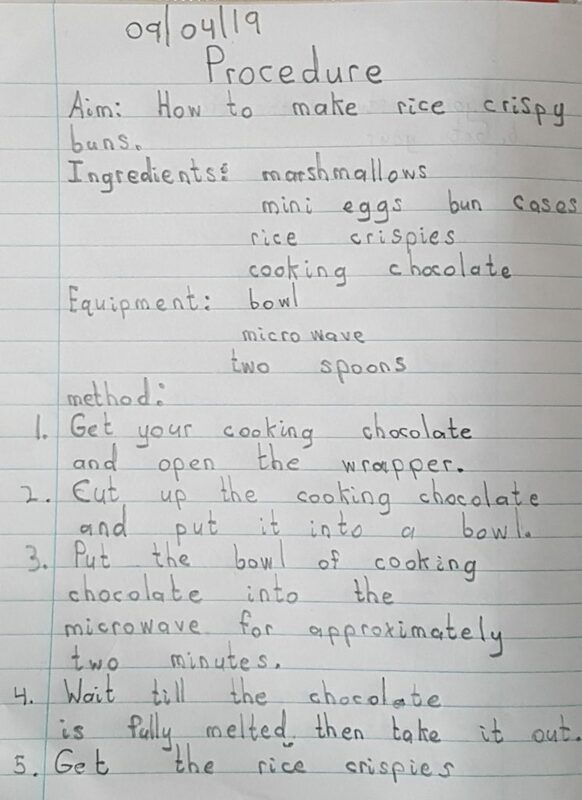 Following on from the story of chocolate, the class made rice crispy buns and wrote fantastic procedures on how to do so.